Not a huge fan of a traditional diaper bag? Now you don’t have to part ways with your favorite handbag when you’re out and about with your baby. ToteSavvy is a sleek insert that creates order on the inside while you rock your personal style on the outside. So, rather than aimlessly tossing the wipes, diapers, cream, and bottles into your favorite tote (which we know never ends well), this modern organizer keeps everything orderly, secure, and easy to grab. Made from durable nylon twill can be wiped clean, there are 11 convenient pockets including an insulated bottle pocket, key clasp, changing mat, cell phone pocket, and flat pocket to protect papers, tablets and more. We’re still recovering from that time when the baby’s bottle spilled all over the lining (and contents) of a really cute bag. Thanks to ToteSavvy, we don’t have to worry about a repeat performance. 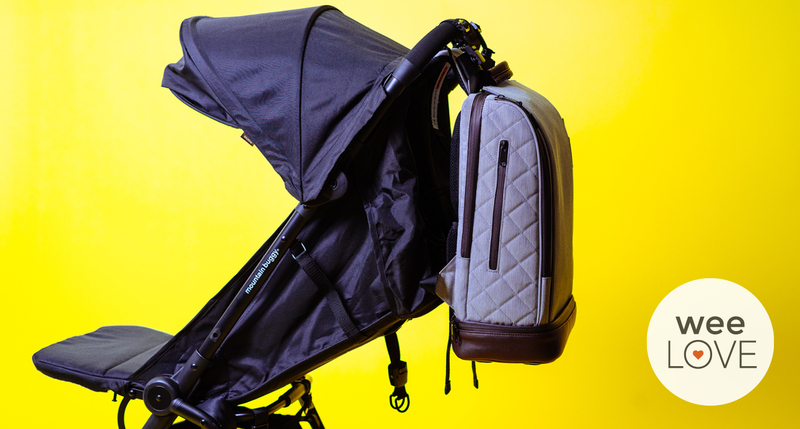 Big Qs: What’s in your diaper bag? 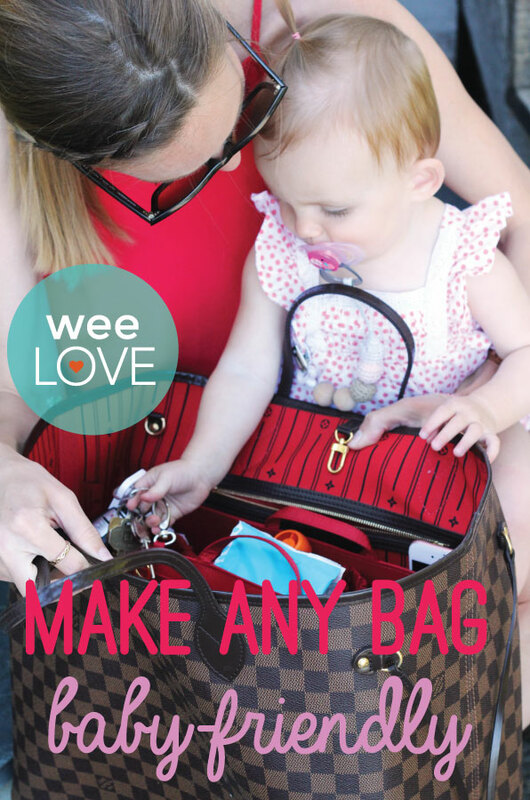 weeAsked: What’s in your diaper bag?